Mole and vole repellent granules and bulb protector. 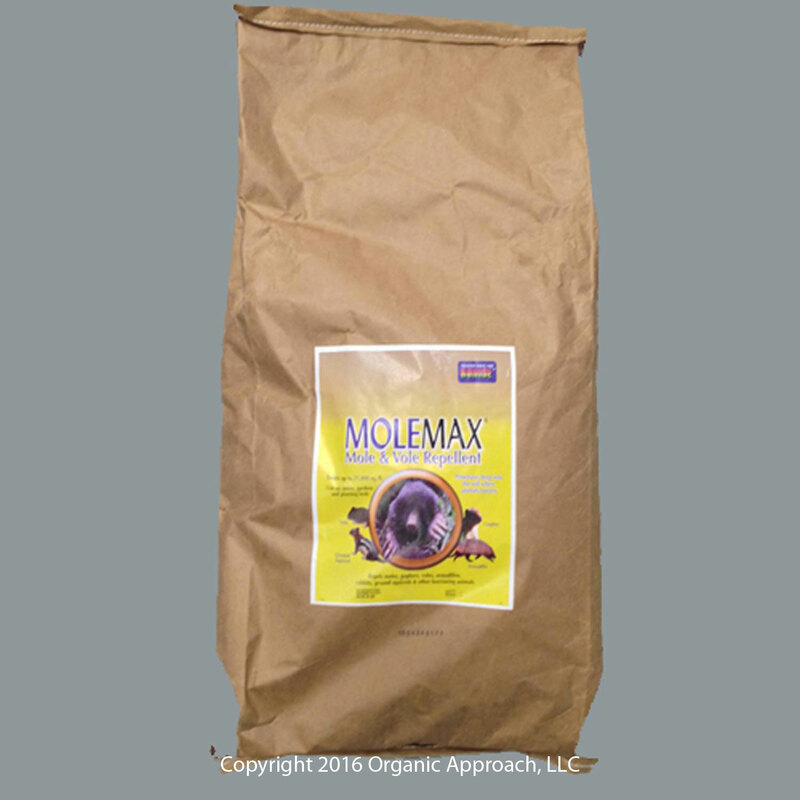 Repel moles, voles, gophers, rabbits, armadillos, skunks… in lawns, flowerbeds, gardens…. Clean, dustless, biodegradable granules are safe for use around children, plants and pets. 1 lb. treats 500 sq. ft. and lasts up to 3 months. Contains Rucinus Communis Oil (Castor Oil) – 10%.